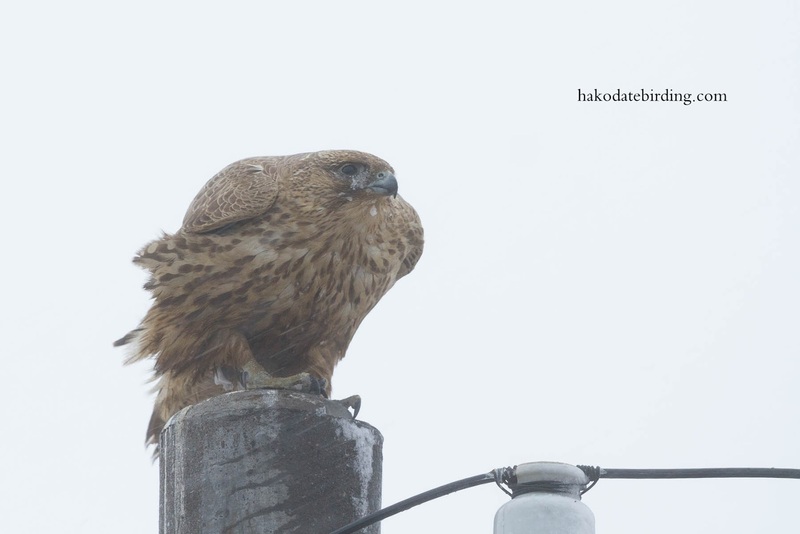 Nasty weather hit Hsouth Hokkaido last night. Sleet and blizzards, and temperatures just high enough to turn the snow into slush. Too dark and windy for any decent photos. 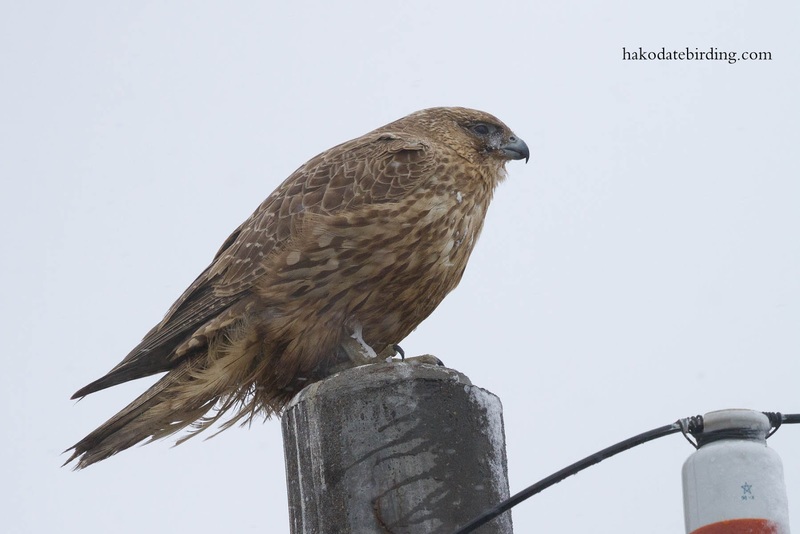 The Gyrfalcon is still there and was clinging onto the top of this pole in the wind before it flew off, presumably to get some shelter somewhere. Difficult conditions but you made the most of it. Great shots. Now why don't they do that here! That does look miserable! I guess we were lucky with the weather last year. 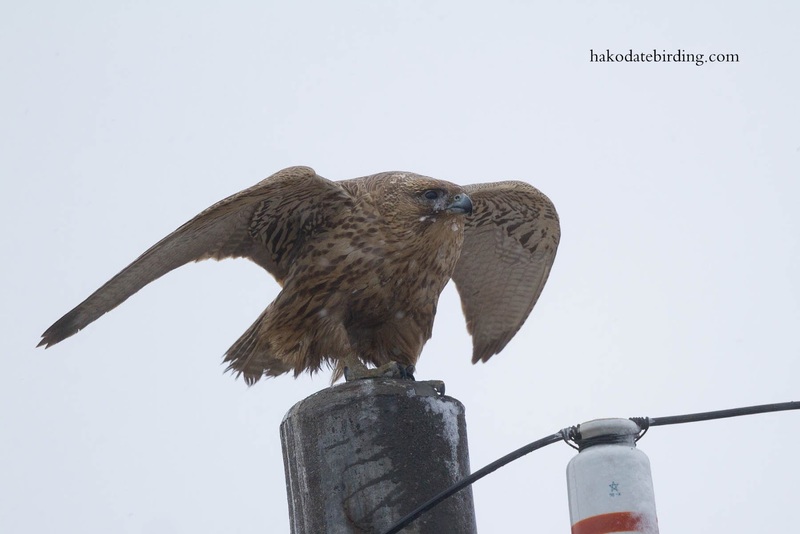 Hi, east Hokkaido tends to be sunnier and drier..............well usualy. I'm going there next month so I hope that fact stays true. Minus 19 plus 2 Falcons.